The Sanctuary is a 3-acre retreat center, just minutes from the ocean, on a serene mountaintop boasting a massive Mother Tree, macadamia and blood orange orchards, and abundant wildlife. 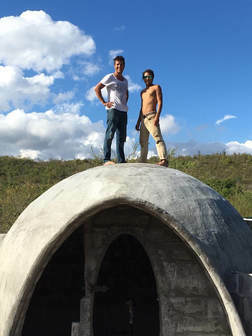 Learn how to build an Aircrete Dome! 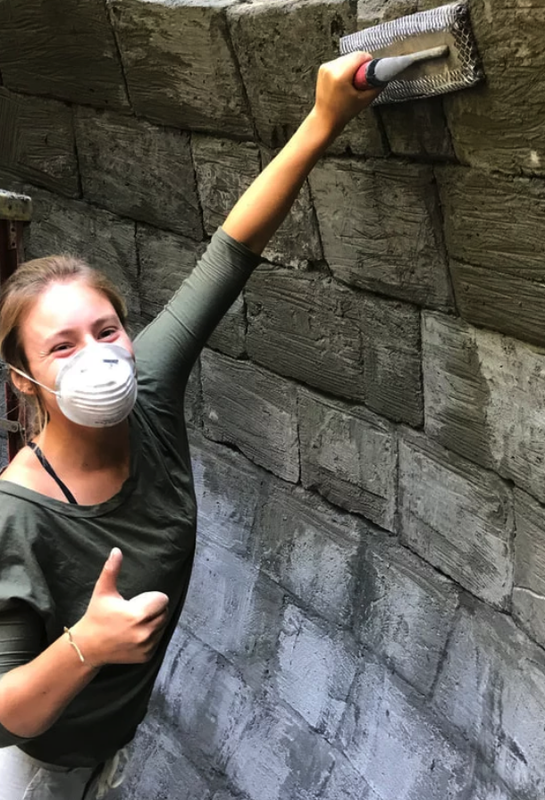 This is an in depth and comprehensive 10-day workshop where you'll deepen your connection to your creative spirit learning the fine art of Aircrete Architecture, and have the time of your life with new friends from around the world! 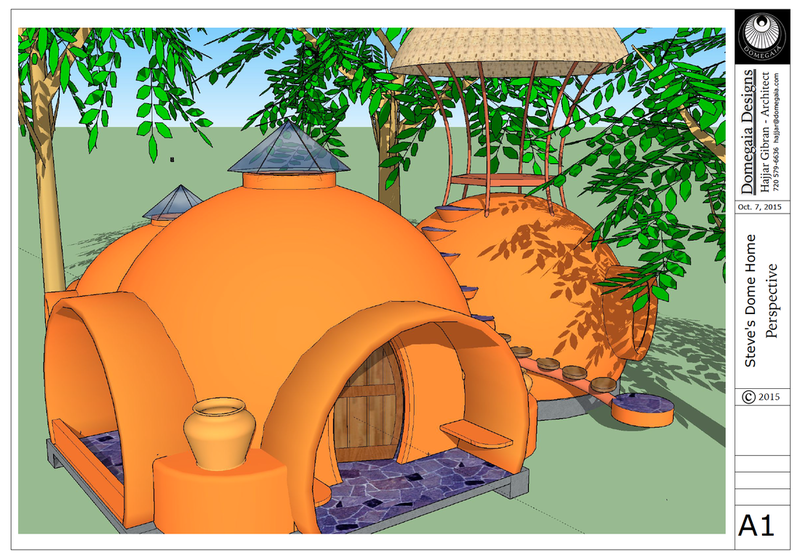 This is your chance to learn how to build your own structurally reinforced Aircrete dome home with your own hands! Register early to secure you place. San Diego Airport (SAN) is 40 mins South. Orange County airport (SNA) is 1 hr 15 mins North. Los Angeles airport (LAX) is 2 hours North. With heavy traffic it can be 3 hours. You can ride share with other participants. Lyft or Uber from San Diego airport cost $60 - $80. 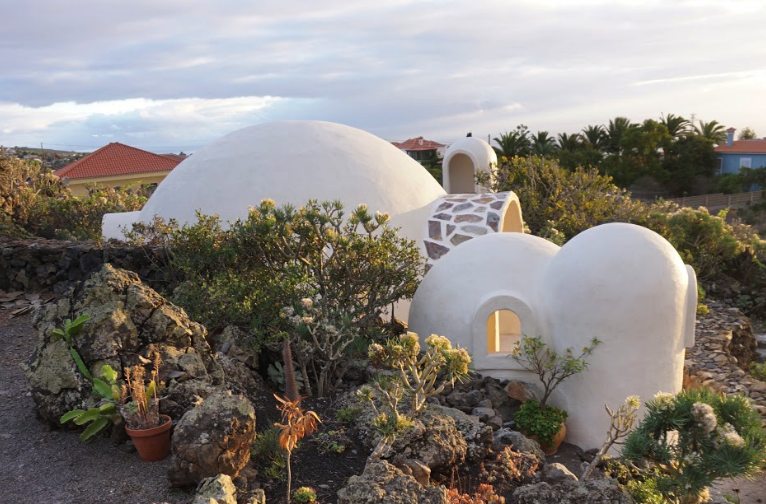 Learn how to build an Aircrete dome and more! Learn to Build Domegaia Style! 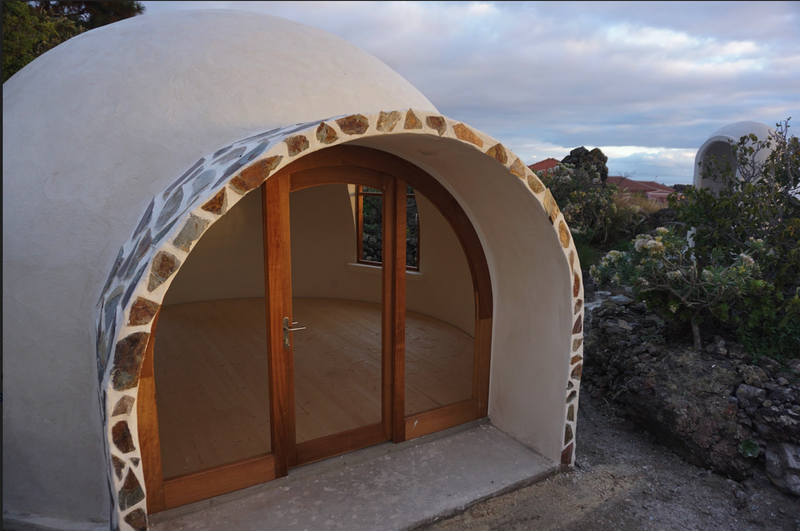 ​We'll teach you how to build your own dome home with Aircrete - an amazing material that you can make yourself. 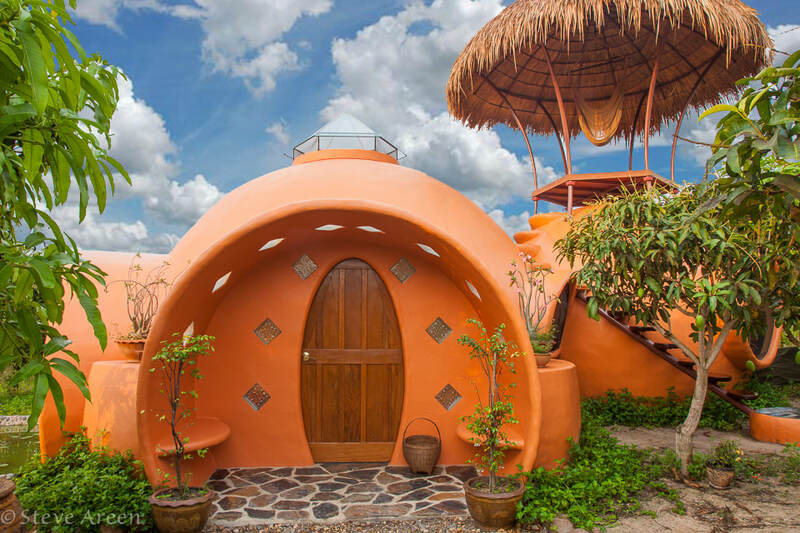 Learn to build a low-cost dome home that is waterproof, fireproof, termite proof, rot proof, insulated, eco friendly, non toxic, and durable against the forces of earthquakes, hurricanes, tornadoes, etc. *Note: We do our best to complete the Aircrete dome during the workshop; however, unexpected obstacles like weather conditions, for example, may prevent the dome’s completion. ​graduate of our 2018 teacher's training. Read more about our enthusiastic instructors on Our Team page! Within a short 20 minute drive are several fantastic beaches - Oceanside, Carlsbad, and Encinitas are just a few great local areas. Or drive 1 hour North and stay in the famous Laguna Beach, an idyllic town with art galleries, shopping, great restaurants, and beautiful beaches. Its California! Some of the best surfing in the world. There are several world-renowned surf beaches within a 20 to 40 min drive. Also close are numerous beaches and inlets for standup paddling and you can rent boards. This area has countless day spas, from simple to luxury. Here is a list of San Diego's best day spas. Also look for great spas in La Jolla, Laguna Beach and Newport Beach. This is a beach town 35 mins South with a very conscious crowd. It has great beaches, dozens of restaurants (many vegan and raw), unique shops, and the famous Self Realization Center and Meditation Gardens (free) founded by Paramahansa Yoganada. You'll also find a lot of yoga studios, ecstatic dance events, sound healings, drum circles, and other tribe gatherings. Within a 1.5 hour drive is this famous desert area known for its powerful vortexes and energy. Its a great overnight 2 day trip, go visit Joshua Tree National park. Great place for camping, or find a local AirBnB. Head 1 hour North to Anaheim to visit the original Disneyland and the new California Wild Adventure Park (dozens of rides for adults). If you have a lot of time, drive 2 hours North (or take the train) into Los Angeles. Visit Hollywood, Santa Monica, Venice Beach, Beverly Hills, etc. The Sanctuary offers affordable accommodations ON SITE at various price levels to fit every budget. You do not have to worry about driving back and forth each day. Stay on site to make new friends and bond with other workshop attendee's visiting from all over the world! The meal plan includes breakfast, lunch and dinner, as well as unlimited access to tea, coffee and fresh spring water direct from a local mountain. Some snacks will also be prepared. Meals will be primarily vegetarian and vegan, organic wherever possible, with fish and chicken options at some dinners. For more information about meals and accommodations click the link below. Important note: Registration for tuition and accommodations are separate. Please secure your workshop space with a $500 deposit via the link below and then reserve your accommodations through our host website or arrange your own accommodations. Thank you! $1200 per student or $2200 for two registering together. We look forward to building with you at The Sanctuary! Interested in becoming a professional Aircrete builder or a Domegaia instructor?